15 super healthy foods to always keep on hand this year. Whether you’re hoping to turn over a new leaf, get the kids (and yourself) to eat more veggies, or kick up your already healthy lifestyle a notch, here’s a list of 15 healthy foods you should always have on hand. They’re family-friendly, help with quick fixes, and make better eating easier. Well, you know, except for that whole picky eater thing. Unfortunately, none of these foods perform magic on children. Related: The 10 best superfoods to get your beginner eater off to a healthy start. 1. 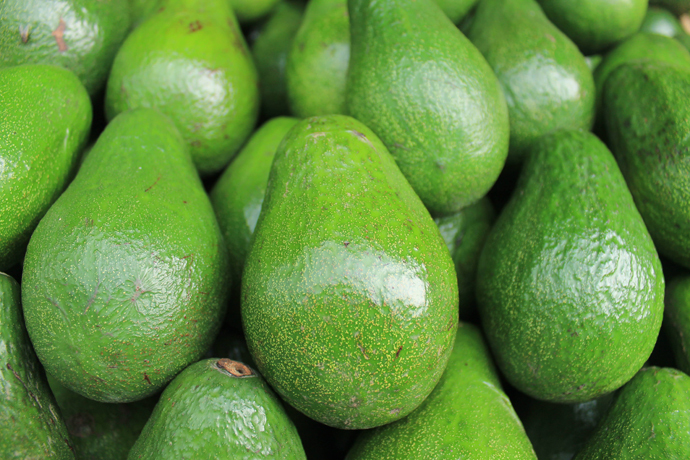 Avocado: Healthy fats are where it’s at. Plus, even though this is technically a fruit, we count this nutrient dense produce as a no-cook veggie on our busiest nights. 2. Eggs: They’ve got everything needed to sustain life, plus healthy fats, which pretty much makes them the most super of all superfoods. And can we say versatile? Cook them for breakfast, lunch or dinner, and always keep hard boiled eggs around for the quickest breakfasts, snack time, or packed lunches. 3. Beans: Beans are a great source of protein, as well as fiber and calcium. While this is good for all us, some say that kids don’t get enough fiber and calcium, so it’s especially great for them. All beans are good for you, but the rule of thumb is that the darker they are, the better they are for you. They are super convenient canned, but if you have an Instant Pot, you can prep dried beans in your Instant Pot quickly and to save money too. 4. Spinach: Spinach is an excellent source of calcium, vitamins A and C, iron, and folic acid, all of which are said to be great for growing bones and developing brains. And bonus: It’s the quickest cooking and most mild tasting of all the dark, leafy super greens. Plus, it comes in convenient pre-washed greens packages so that you can quickly add spinach to salads, soups, stews, pasta, and more. 5. Quinoa: Quinoa is thought of as a grain, but it’s a protein-rich seed that’s high in vitamins A, C, and E, as well as potassium, calcium, and magnesium. It contains eight essential amino acids, too, which makes it a rare food that your body can digest in a way that makes use of 90% of the good stuff it offers. Plus, when quinoa is cooked correctly (it’s easy if you follow our tips, I promise! ), it turns out mild tasting, soft, and fluffy, which makes it easy to eat at any age, but especially for beginner eaters. Related: 5 kid-friendly foods in your pantry right now that may contain sneaky artificial ingredients. 6. 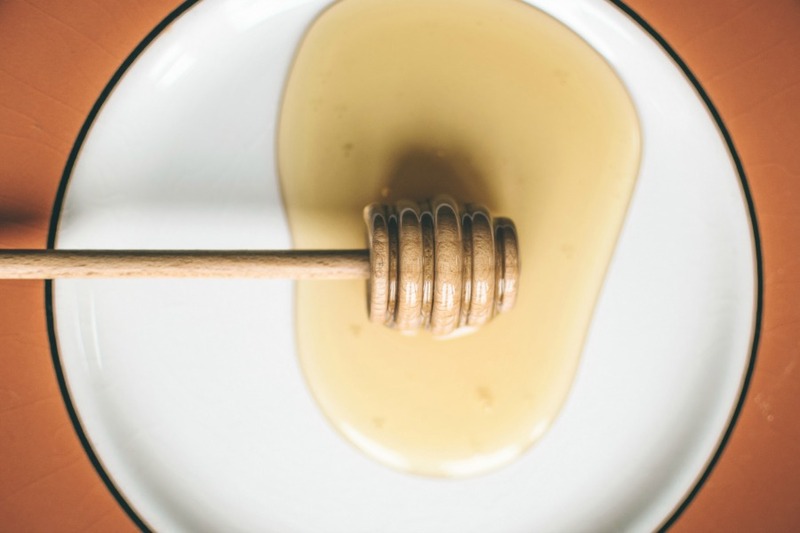 Honey: Honey is one of our favorite natural sweeteners and a perfect way to start substituting white sugar at home. Not only is it unrefined, but is it also immune-boosting, contains antioxidants, has antimicrobial qualities, and some believe that it can even help with seasonal allergies if locally sourced. Doctors also believe that a spoonful of honey is just a effective as, or maybe even better than, over the counter cough syrup. 7. Sweet Potatoes: Sweet potatoes are rich in vitamins B, C, and E, as well as iron, calcium, and potassium, all important for healthy growth. 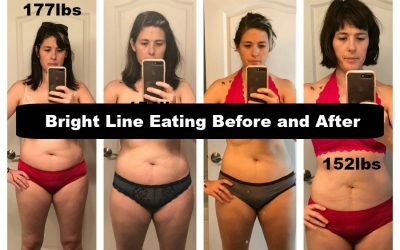 Thanks to complex carbohydrates and lots of fiber, they’re also very filling and give a boost of even energy without the crash you get from white, simple carbs. Plus, they’re sweet, which makes them an easy sell with the kids. Wrap in foil, roast with no fuss, and serve. 8. Salmon: Salmon is a fatty fish in the best way, packed with heart-healthy, brain-boosting omega-3 fats. 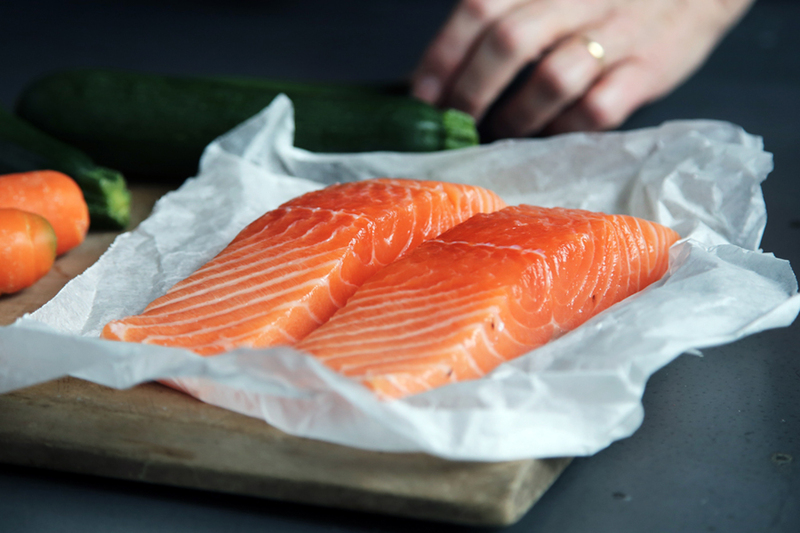 The only thing to watch out for here is mercury: Buying wild salmon helps ensure lower levels and, by some accounts, may offer up more omega-3’s. 9. Garlic: Research has shown that eating garlic daily can boost your immune system thanks to its anti-inflammatory and antiviral properties. It’s also thought to help maintain healthy blood pressure and cholesterol levels. 10. Plain Greek-style Yogurt: Plain Greek-style yogurt made without added sugar has tons of protein and a healthy dose of probiotics, which helps keep our immune system and gut happy. More and more research is making connections between the health of our gut flora and our overall physical, nervous system, and even mental health, so keeping our gut happy might be more crucial than we once thought. Related: Skip the fancy supplements with these 7 healthy, easy to find smoothie add-in’s. 11. Coconut Oil: There’s been some controversy over coconut oil, but many believe that it’s a healthy fat. If you fall in that camp (as I do), it’s a great non-dairy way to cook greens, make a creamer, bake, butter your toast, and so much more. 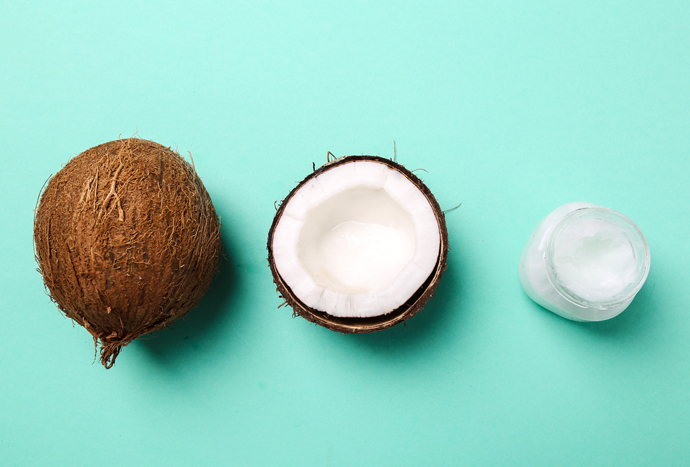 Plus: coconut oil has tons of use out of the kitchen too. 12. Frozen Vegetables: At the end of the day, while some veggies are more nutrient dense than others, eating as many veggies as possible is the goal. And if frozen vegetables make that goal more feasible, then keep them on hand. Whether they help you get through the winter in an area where the pickings are slim during the cold-weather months, or your just a busy parent who doesn’t have much time, frozen veggies can often save dinner. So stock up, and use them. 13. Frozen Fruit: The same goes for frozen fruit, especially when you use them for smoothies, one of the most genius ways to get kids to take in more produce (including vegetables, like with this genius healthy smoothie trick). Just be sure to use our tips for how to make a smoothie without heaps of added sugar. 14. Chia Seeds: You’ve probably heard a lot about these little ancient seeds, which is a good thing because their popularity has made them more widely available and cheaper too. They are rich in omega-3 fatty acids, fiber, antioxidants, and calcium. They also have good protein and fiber, which work together to make you — and even the kids — feel sated. Blend them into smoothies, sprinkle them on oatmeal, or turn them into low-sugar chia pudding (it’s kind of amazing!). 15. Flax Seeds: Flax seeds are a powerhouse that pack in omega-3 fatty acids, fiber, protein, and vitamins and minerals including iron. This goes without saying for smoothies, but you need to grind the seeds to reap the benefits. Pro-tip: I’ve seen ground flax seeds and chia combined in one pack, which is a good way to get both without having to spend on them separately. Superfoods are used to describe foods having a single ‘super’ nutrient. Hence, you can create your own recipe with a combination of different superfoods to consume a nutrient-rich meal. 2. Add milk, water, vanilla essence and maple syrup/honey. 4. Cook for around 15 minutes, until the millets are soft and the mixture has reached your desired consistency.